This one is a labor of love guys! 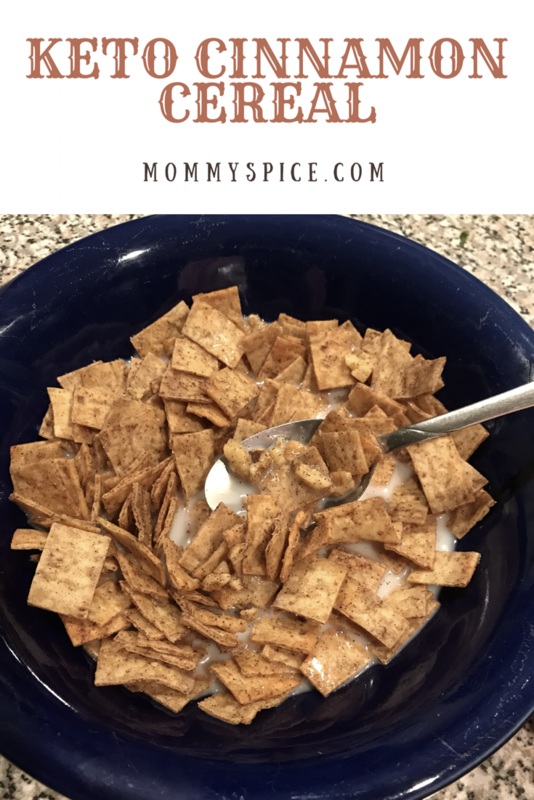 My husband has been on the keto diet for quite some time now and one thing he misses more than anything is cereal. Off to my research I went, and I’m here to tell you, there is not a single keto cereal out there. Mission accepted. This brain child kind of came from years of homemade crouton making. I used the low carb wraps that have become such a staple in my husbands diet and sliced them up with a pizza cutter into little squares. Step one: trick your brain into making it LOOK like cereal. Next I melted some butter, to that I added Splenda and cinnamon. I then tossed my little faux cereal squares and baked them. For additional texture I added some chopped walnuts, however any nut would work. Almonds or cashews would really bring some extra harmony to the dish as it’s served with almond cashew milk and this whole big ol bowl of cereal was 7 net carbs!!! Cut your wrap into 1 inch pieces, I found using a pizza cutter was the quickest way to do this. In a large bowl melt your butter, stir in Splenda and cinnamon. 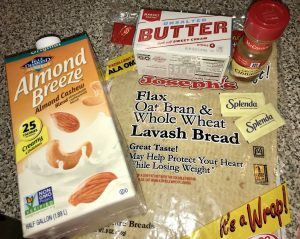 Then toss your wrap pieces in the melted butter mixture until all pieces are covered, add in walnuts and toss again. 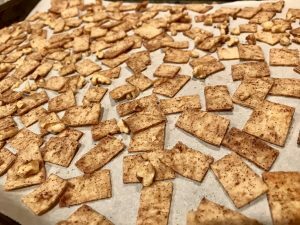 On a parchment paper lined baking sheet lay out all your cereal squares, for maximum crunch make sure they’re not touching, then sprinkle with salt. Bake in a 350 degree preheated oven for 5-6 minutes or until golden brown, should be no more than a max of 10 minutes. Let cool and serve with milk of choice. My tip for this one is if you want your cereal to be really crunchy, turning it halfway through is a good idea, so 3 minutes on each side to start. However, this one wrap made a lot of little cereal squares and turning each one with tongs so they weren’t touching was a little tedious.